are you busy? too busy to read this? In recent months I have noticed the conversation starter at the coffee machine at work follows a familiar path, when you meet someone you haven’t seen in a while, whoever it may be. Maybe you recognise it? Or maybe you instigate it? If you’re really busy you might want to stop reading this now. If you live to an average life expectancy you have a total of around 620,000 hours. Given that we sleep for around a third of that, you have about 410,000 usable hours. Time is a strange concept though isn’t it? I mean, what is an hour? I often have the following debate with my wife when the clocks change – she’ll say something like “We gain an hour this week-end” and I’ll respond, “No we don’t, it’s just that what we call it has changed. Six o’clock is now known as five o’clock.” The Earth, Moon and Sun still move in the same harmonious rhythm. We still have the same amount of time in our lives. What we call the time is just that, it’s what we call it. And we can call ourselves busy. 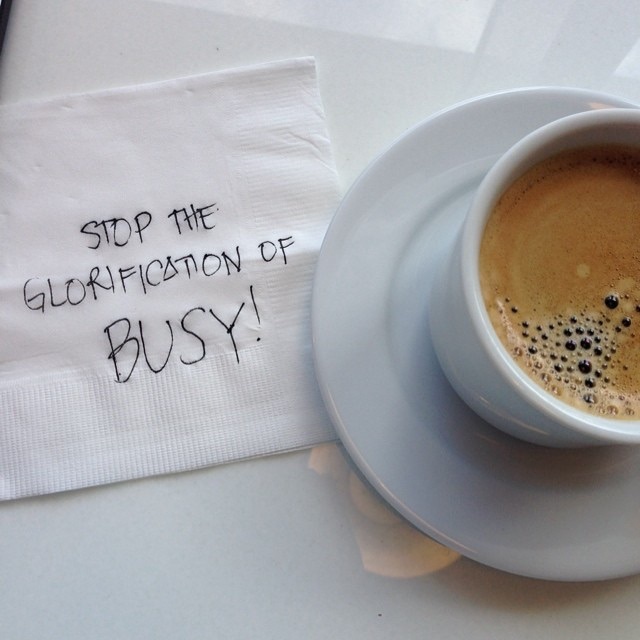 Too busy to spend a few minutes on someone or something that is really important to us. What matters most is how you use your time; those precious hours that are in short supply. When was the last time you simply did something you love? The last time you were kind to yourself? The last time you carried out a random act of kindness? The last time you stopped and really noticed another human being? The last time you checked in with yourself, properly? The last time you gave someone the gift of your full attention? Next time you meet someone at the coffee machine, if the conversation starts down the ‘busy’ route, ask them a great coaching question and really listen to their response. or maybe just invite them to contemplate what they would be doing right now if they were doing something they love. And now you’ve read this … go and take five minutes for yourself. Next > where do you find yourself?